Carnival Game – Can Knock Down! For a DIY Set - Empty Cans & Decorate. Bean Bags work best - Balls are difficult to chase! 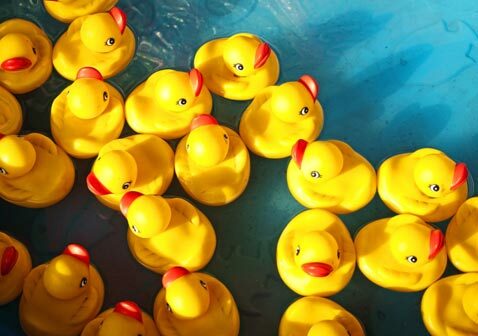 This game is simple to do as a DIY carnival game! You will need empty vegetable cans (sometimes it is fun to find oversized cans - double the size of typical veggie cans for effect). Leave the bottom on each can as we recommend filling about half full with dried beans. Next, tape over the top of each can with strong tape to keep the beans inside. 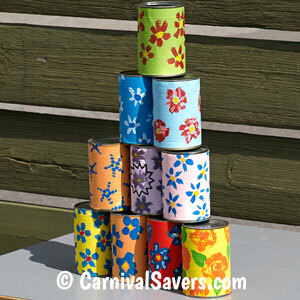 Finally, decorate the can to match your carnival theme. You can cover with colorful wrapping paper or paint with bright colors as shown above. Why empty the cans first? Well, if a can is knocked over and it is full, it can land on the toes of folks nearby and really hurt! Why add them half full of dried beans? If the game is played outside, a slight gust of wind can knock over the cans, so you want a little weight to prevent them from knocking down prematurely. This is a quick and easy setup - you just need a small table and optionally, something to cover the table and add some more color. Next, you stack up your cans in the shape of a pyramid. Before the carnival, test this carnival game for difficulty and place “stand behind” lines for different age children using sidewalk chalk, tape, small traffic cones or hula hoops. 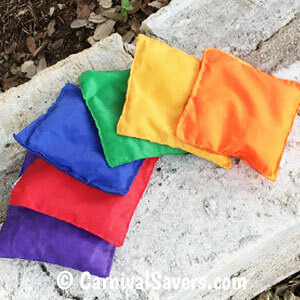 Children are given three bean bags to toss per game. Depending on the setup of the stand, they win prizes based upon how many plastic cans they knock down in 3 tries. You can make the game more difficult by requiring players to knock the entire group of cans off the stand or just require that all cans be knocked over to win. 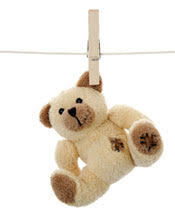 Like all other school and church kids’ carnival games, everyone at least wins a consolation prize. What a perfect game for a backyard carnival birthday party!! If this game is for a school or church, you may consider buying 2 sets and have them running at the same time! This game is best for younger children (preschool and elementary school aged children) as these cans are plastic and can be dented if beanbags are tossed with great force which older children 8 years and up will tend to do. 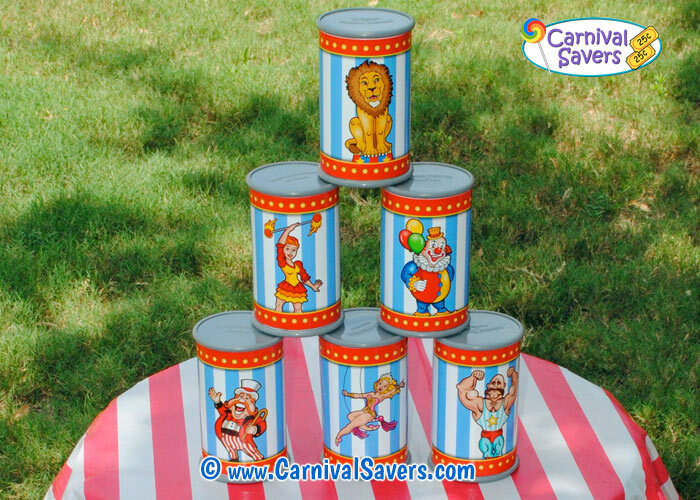 If you have older children such as middle or high school, you may wish to have a Baseball Throw Carnival Game to keep the older kids entertained or make your own Can Knock Down Game out of empty vegetable cans (as shown above) and purchase bean bags for the tossing. AWESOME SUPPLIES & PRIZES for the CAN KNOCK DOWN GAME!